In the age of digital photography and social media, we are exposed to an overabundance of photos on a daily basis. Because of this unbelievable volume, a single photo often doesn't get the appreciation it deserves. Therefore, for me, one of the most important steps in the creation process of my pictures is the final printing. Only a photo printed on high-quality fine art paper reveals the true quality of the work. Years ago I decided to master the complete workflow. In addition to fine art printing, I also cut passe-partouts in my own studio and I experiment with alternative presentation options. 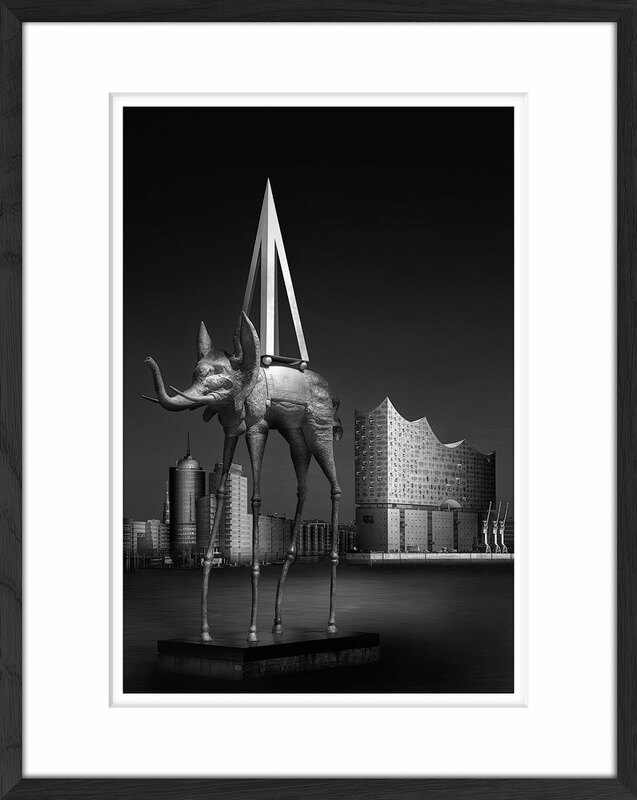 The photos are printed on high-quality fine art paper PhotoRag® (308g/m²) by Hahnemühle. Each print is signed and numbered by hand the prints per artwork are limited to 25. The use of pigment inks provides the finest details and tonal gradations to ensure a work of art in museum quality. If you are interested in buying one of my works for your home, just contact me. I would be happy to advise you on this matter. Information on prices and versions (size, frame, paper, etc) is available on request. You may also purchase exclusive image rights for private or commercial use - Please contact me! I gladly accept inquiries in the fields of architecture, products and portraits. Photo shootings are possible in my studio, at your location as well as outdoos. I would be happy to provide you with an offer customized to your requirements.